Isfahan, its sole name evokes sights of wonders in mind of travelers. Unravel the essence of Persian arts in the city of blue-tiled mosques, mystical bridges, and graceful bazaars. As the cultural capital of Iran, the blue jewel city is a place to be amazed by the Safavid and Qajar awe-inspiring architectures from its museums to the outstanding “Chehel Sotun” Palace, a UNESCO World Heritage Site, and the unique atmosphere of Jofla, its large Armenian neighborhood. This experience is unbeatable in terms of culture and art that Isfahan has to offer. Go for it. Welcome to the city of Iranian handicrafts and traditional arts: Isfahan, the blue jewel of Iran. The city once called "Half of the World" for its beauty is a living museum, with magnificent mosques and palaces, its delicate bridges crossing the Zayandeh Rud River, and the enchantress atmosphere of its old bazaar. No wonder the city is considered as the center of Iranian craft and folk art, and recognized as such by UNESCO. This experience intends to introduce you to the main Iranian arts by visiting Isfahan's museums and historical buildings, with the essence of Christianity and Armenian community. Your introduction to Iranian arts starts a few steps away from Naqsh-e Jahan square, by visiting the Contemporary Arts Museum and the Decorative Arts Museum of Iran, two masterpiece structures of the Safavid and Qajar eras. Inside, you can discover both traditional handicrafts and modern arts. Observing miniatures, ceramics, and calligraphies, among the stuccoed facades ornamented with tiles, will transport you right back to the glory of the Persian Empire. Get ready for the amazing "Chehel Sotun" Palace, the wooden columns Palace with its beautiful Persian Garden, a World Heritage Site. The reflection of the 20 columns in the clear waters of the pool creates a dreamy vision. Step inside the museum, to be mesmerized by the golden Muqarnas vaultings, the painted walls, Windows and ceilings, and the blazing Palace of Mirrors. The second part of your experience leads you to the Jolfa, the Armenian quarter of Isfahan; hosts to numerous migrants once were moved to Isfahan during the wars between Safavids and Ottoman Empire in the 16th Century. Appreciate its peaceful atmosphere by enjoying traditional sweets and coffee in an old Armenian Cafe. 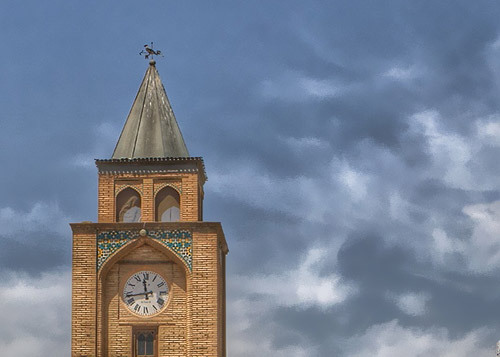 Just close by, visit the gem of the neighborhood: “Vank Cathedral”. Built in the 17th-Century, it deeply differs from the European Cathedrals, influenced by the Islamic-Armenian and the Byzantine arts. The blue and golden paintings of its walls and ceilings are mesmerizing to the visitor's eyes. In the Cathedral's museum, learn about the history of the Armenian community in Iran through ancient books and handicrafts. After a tasteful traditional lunch in an old Armenian house, head toward your last and most unparalleled destination: The Music Museum of Isfahan. There is no need to be an expert of musical instruments to be fascinated by this private museum, awarded twice. Founded by two local musicians, it showcases more than 300 instruments from all over Iran. The visit culminates with an intimate live musical performance: Local musicians play for you traditional Persian songs, along with poetry, as the best illustration that Isfahan is the proud capital of the well-alive Persian art and culture.